Friday Talk: «How to let spring into your life?» with Madina Abilpanova. In the fast changing world, where every second matters, the most valuable resources are time and focus. We strive to accommodate our residents with the most comfortable working environment, to attend to their needs while they can fully focus on things that really matter. 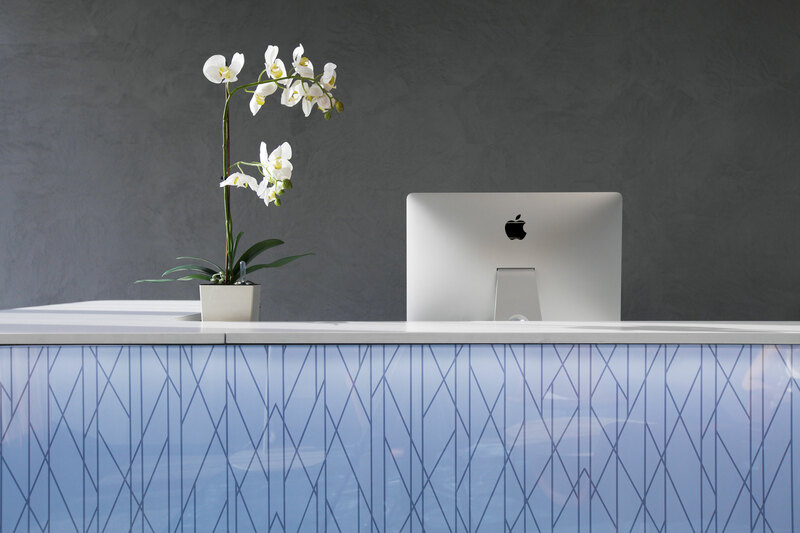 Available in different sizes, tailoring to the needs of various users, small and medium size businesses, with innovative and modern design, our private offices with views overlooking the mountains, the city, or Esentai Square provide an exciting working environment. 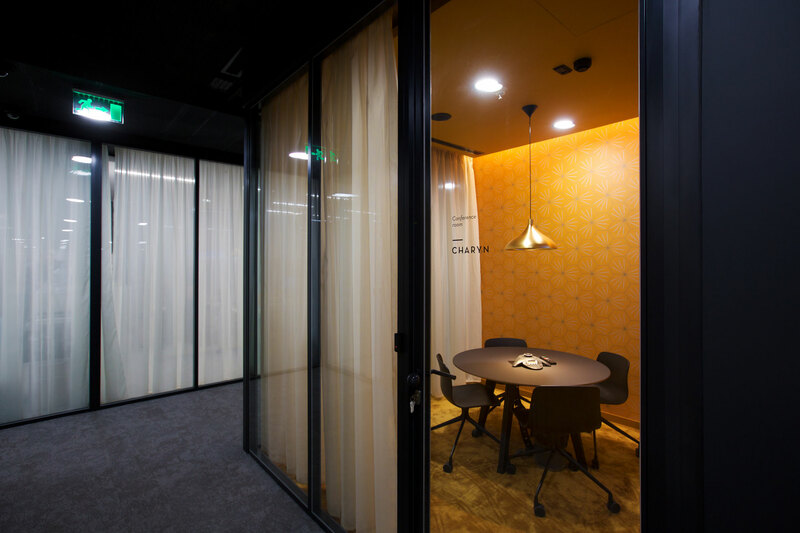 Light oak wood doors, black framed transparent glass partitions, and white textile curtains maintain an abundance of natural light whilst securing full privacy. 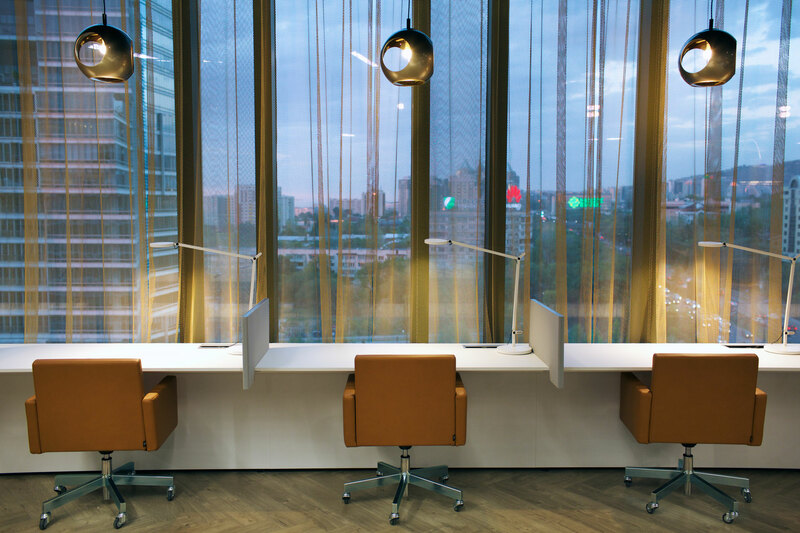 All offices are equipped with modern desks, ergonomic chairs, and filing cabinets designed and manufactured by Steelcase. 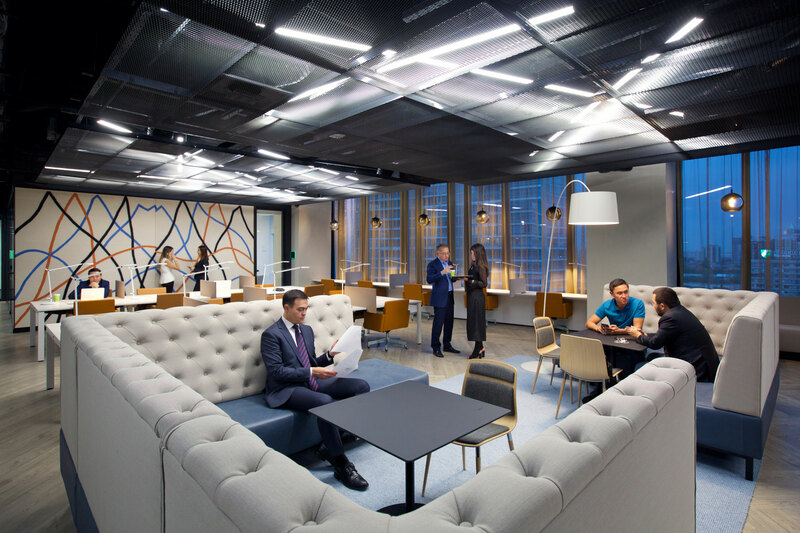 Bring your company into a private office to enjoy all the benefits of working in a community with hassle free efficiency and growth potential. All-inclusive rates and turn-key services allow your team to focus on the business– while we handle the rest. Set in a beautiful environment and flexible design inspired by destinations of Almaty surroundings, with floor to ceiling views to the mountains that sparks your creativity, it is perfect for entrepreneurs, creatives, business travellers, consultants and established professionals in search of a comfortable, sophisticated space to work and build network. Concentrate on your core goals while our team takes care of your day to day needs. 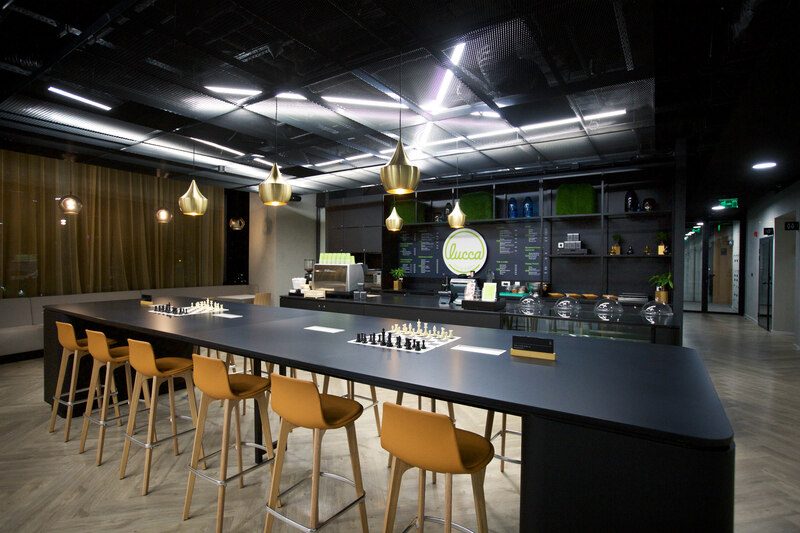 The coworking area with Lucca provides cozy atmosphere for your informal meetings whilst serving you a great variety of drinks, healthy snacks and salads. Perfect for companies with 1-4 employees, with innovative and modern design, our dedicated desks with Kok Tobe view is an ideal cost-efficient solution. 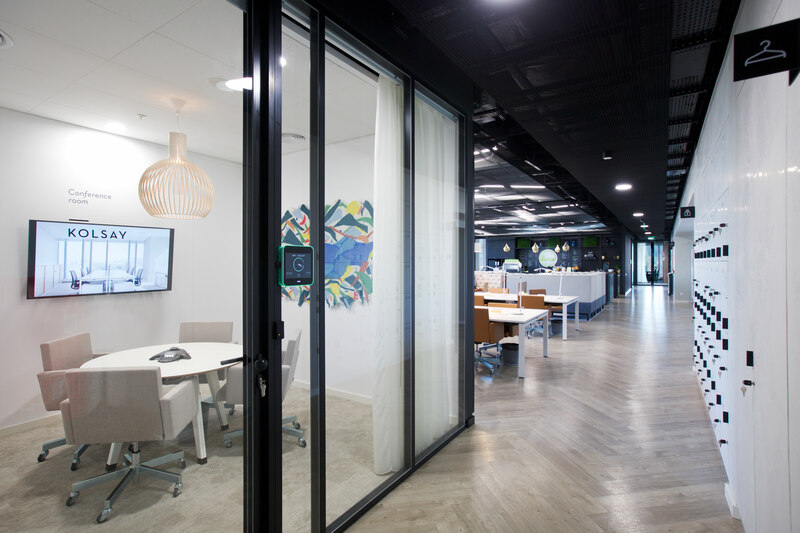 Light oak wood doors, black framed transparent glass partitions, and white textile curtains maintain an abundance of natural light whilst securing full privacy. 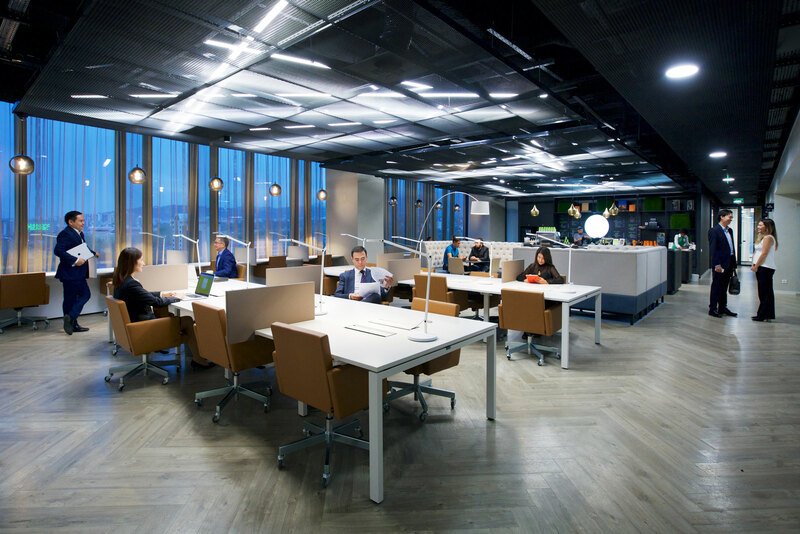 All offices are equipped with modern desks, ergonomic chairs, and filing cabinets designed and manufactured by Steelcase. 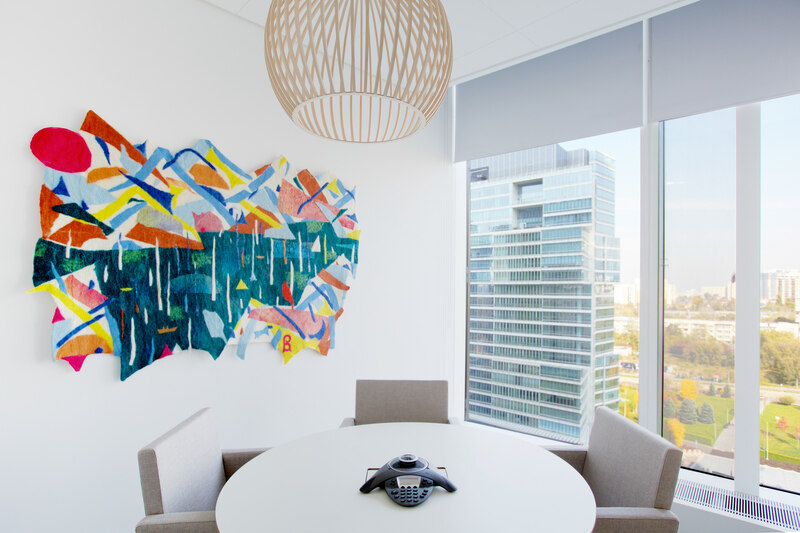 Share the beautiful space with like-minded companies and enjoy all the benefits of working in a community with hassle free efficiency and growth potential. All-inclusive rates and turn-key services allow your team to focus on the business– while we handle the rest. Conduct your most important meetings and presentations at Boardroom Medeu with a beautiful view to Kok Tobe and snow-capped mountains. Conduct your most important meetings and presentations at Boardroom Medeu with a beautiful view to Kok Tobe and snow-capped mountains. Fully equipped Boardroom will leave your business partners and clients with exceptionally positive impression about your company. Large screen Sony LED TV allows you to make any presentation stand out by exceptional image and sound quality, ConferenceCam and WebCam connects you and your colleagues to any location of the world. Place your meetings with colleagues to discuss your business or have an effective brainstorming session at conference room with a beautiful view to Kok Tobe. Place your meetings with colleagues to discuss your business or have an effective brainstorming session at conference room with a beautiful view to Kok Tobe. 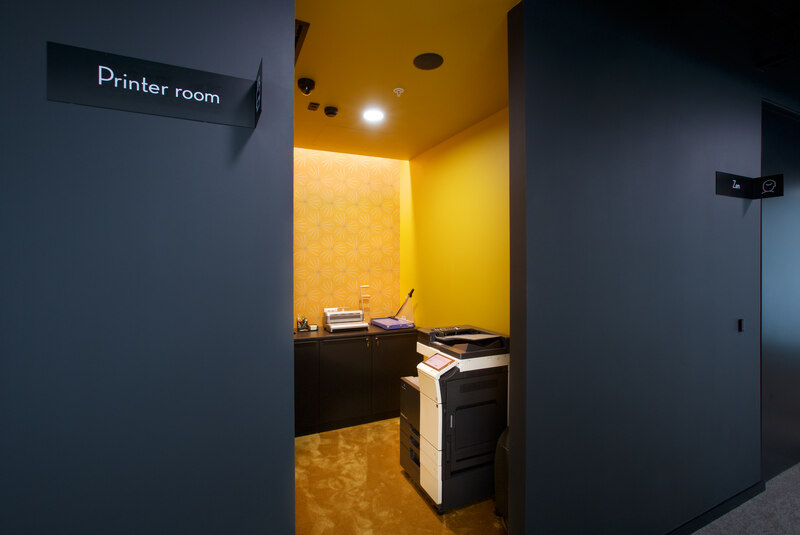 Compact and cozy space will sparkle creativity amongst you and your colleagues. Sony LED TV makes it possible to show any presentation or other files without sacrificing quality of the content. ConferenceCam and WebCam gives you opportunity discuss your projects with partners and colleagues all over the world. This Friday, April 12, Level 8 will hold a Friday Talj with Ainur Kaparova, a journalist, producer, certified coach and certified psychologist. The speaker will elaborate on her personally developed program "Run and Think" that helps to boost individual effectiveness. It is a mental training system, where jogging becomes a stimulus for personal growth, an increase of living standards and achievement of goals. - How to use any workouts in order to improve the quality of life? - How both body and brain perceive changes and how those changes can be fixed? - How to raise the level of vital activity during simple training sessions? In addition, the event will be attended by qualified trainers and masters of sports. Dmitry Pichugin, an ultra-marathon runner and a record holder (a distance of 100 km without stops) and Almas Rakhimbayev, the winner of the most difficult competitions and obstacle races. They will share inspirational stories from their personal experiences. 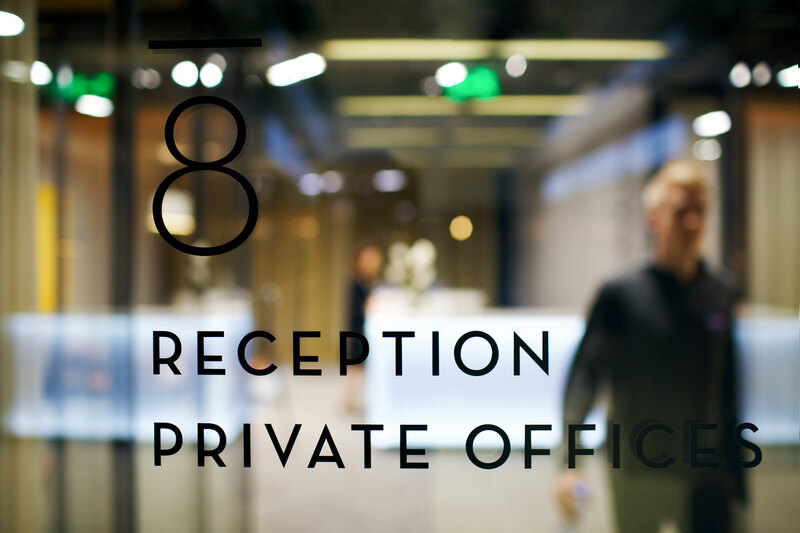 Level 8 is an alternative workspace with private offices and coworking located on the eighth floor of Esentai Tower. 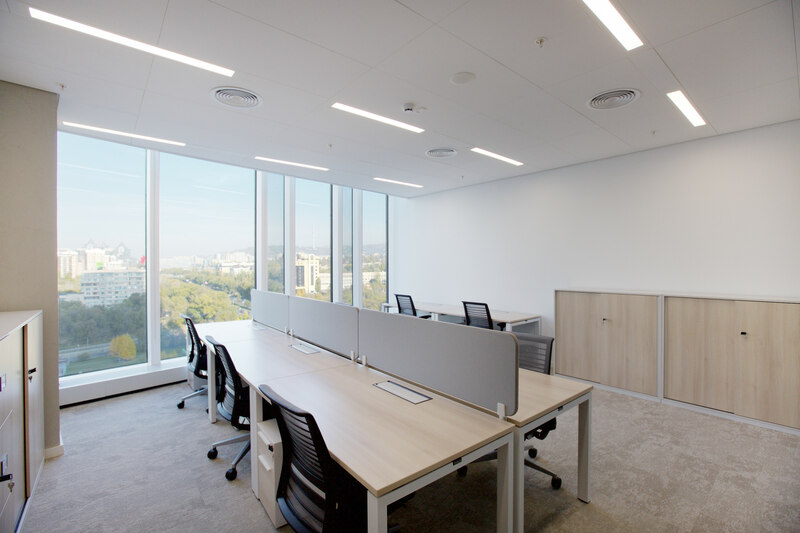 Built according to the most advanced standards, incorporating high tech solutions it offers flexible, cost efficient and inspiring work environment for small and medium sized companies. 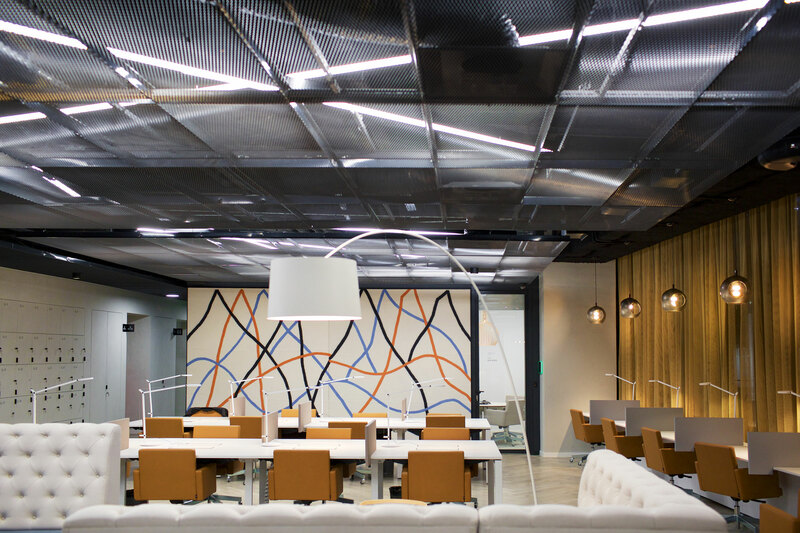 Coworking is a brilliant community for collaboration and building network, as it offers opportunities that are not usually found in traditional offices. 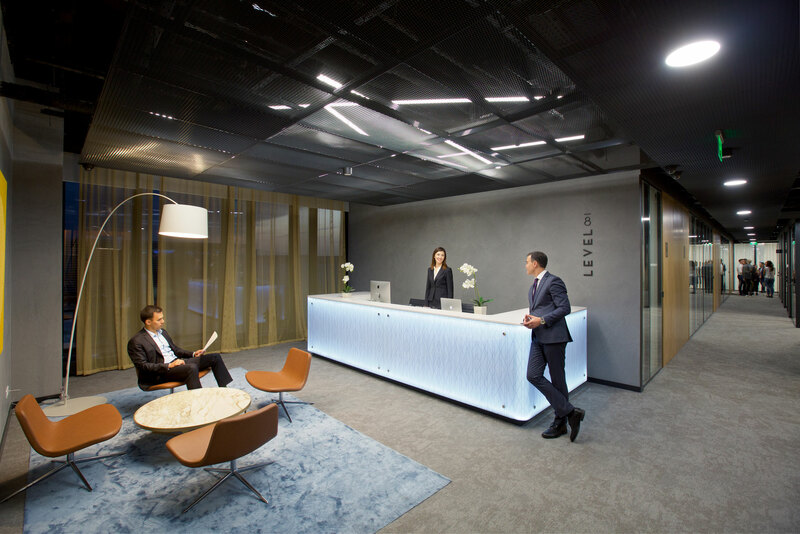 Moreover, we give the privilege of having an address at Esentai Tower, which has become a synonym of trust and reputation. 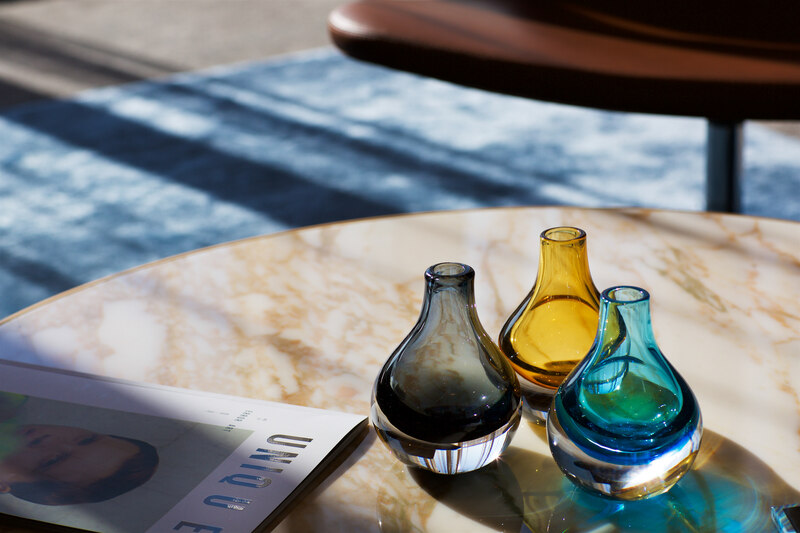 To become a workspace where best ideas are born. 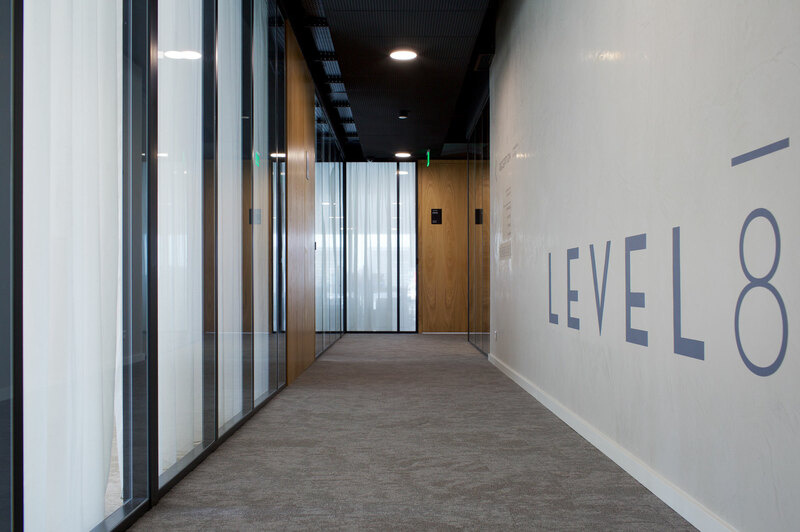 Here at Level 8 we strive to create an alternatively new workspace that is adaptive to the realities of the future, the habits of new generations and an inspiring environment where best ideas, solutions and teams are born. We aspire to bring freedom of expression by changing the perceptions and breaking the norms of standard office life, and to create new ways of working and collaborating.